National Lottery operator Camelot has been criticised for allowing people to buy tickets online while abroad despite them being unable to win any money. In countries including Spain and the US it is illegal for Britons to play the UK lottery, making their tickets void. But Camelot’s website does not stop them buying tickets and consumer body Which? said the rules were not clear. Camelot said it does warn people who buy online, but cannot provide a list of countries where playing is banned. The National Lottery website can be accessed from anywhere in the world, but in much of Europe, for example, local laws bar people from taking part in foreign lottery draws while on holiday there. One Briton, Chris Jones, from Tyne and Wear, told the website thisismoney.co.uk that he lost out on more than £5,000 in prize money after buying a National Lottery ticket online while in Majorca. “What annoys me is that they still accepted my money,” he said. Spain gave investors a huge boost this week by doubling the guaranteed minimum of 50,000 Euros per deposit, as required by the European Union. It will come as a relief to everyone with savings here in Tenerife – and the whole of Spain – in view of the “credit crunch” horrors of the past few weeks. Alongside this good news, the Central Government announced a 30,000-billion-euro fund from the Treasury to “support the funding of the credit system”, describing it as a “great temporary loan” to uphold the trust of citizens. Due to the disruption caused by the road hauliers’ strike in Spain and Portugal, the passport courier delivery service provided by Bpack for the British Consulate has been suspended. We are monitoring the situation and will reinstate the service as soon as possible. In the meantime, customers who have submitted a passport application to us can call our hotline on 91 524 9761 (Spain) between 10am and 2pm or 213924104 (Portugal) between 9am and 11am. 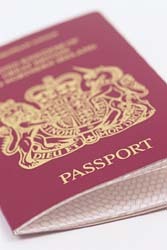 If customers need to travel soon and cannot collect their passports personally in Madrid or in Lisbon, they may request to have them delivered by registered post. But this is at customers’ own risk as the Spanish and Portuguese Postal Services are likely to be affected by the strike too. The British Consulate is doing everything it can to ensure that customers’ passports are safe; the suspension of the courier service at this time of uncertainty will help safeguard these important documents. As soon as the Bpack service is no longer affected by the strike, passports will be couriered to customers as quickly as possible. The Canarian Government is urging people not to empty shops of basic foodstuffs in anticipation of shortages in the next week. 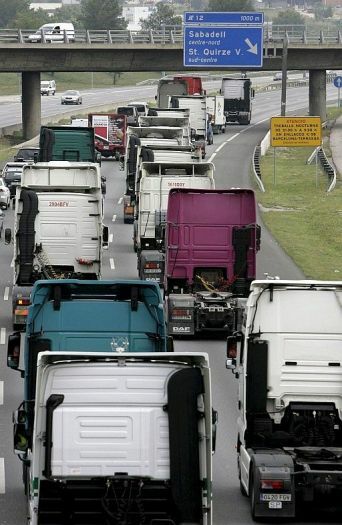 As news of the effects of the hauliers’ strike continues to make the national and international headlines, the regional government insists that the situation is under control and there is no need for panic buying. Reports yesterday indicated that one of the cargo ships that supplies the islands had been unable to load hundreds of containers at Cadiz due to the strike by lorry drivers, who are protesting at soaring fuel costs. However, the authorities stress there is no cause for concern and people who have started to panic buy are behaving selfishly.